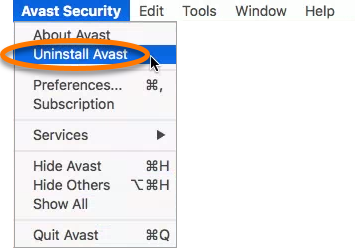 To uninstall Avast Security via the menu bar, follow the detailed steps in the Preferred section. 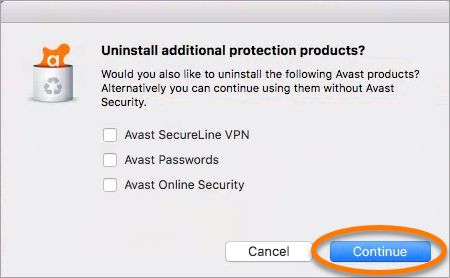 To uninstall Avast Security via the setup file, follow the detailed steps in the Alternative section. 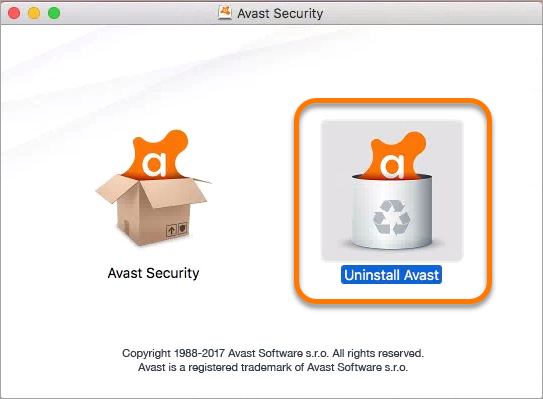 Deleting or moving Avast Security to the Trash does not uninstall the program. Click Avast Security in the Menu bar on the top-left of the screen and select Uninstall Avast. Select additional security products to uninstall and click Continue. If prompted, use your Touch ID or enter your administrator User Name and Password and click OK to grant permission for the uninstallation. Double-click the downloaded setup file avast_security_online.dmg and select Uninstall Avast. 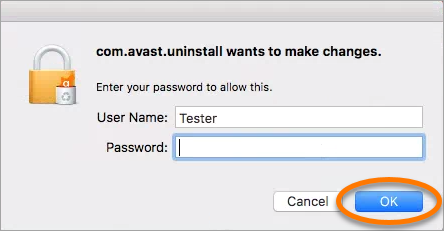 After any open applications are closed, the uninstallation is complete and Avast Security is removed from your Mac.